Without my hijab wrapped around my head and pinned tightly under my chin, I was nothing special. For a minute, it felt good, somewhat thrilling, to walk down Main Street exposed. I zipped past the family-friendly brunch district, footloose and fancy free. I’m a Muslim woman who’s worn a head covering for more than two decades, and I had decided to take my headscarf off for one sunny morning. Something about showing off my hair to the world made me walk a little taller, with confidence and a devil-may-care attitude. Strolling into a local cafe in Upstate New York, running my fingers through my freshly blown locks, it was as if I were starring in my own Pantene commercial. But no one looked. There were no sideways glances or quizzical stares. Without my hijab wrapped around my head and pinned tightly under my chin, I was nothing special. I no longer stood out as the oddity or the outsider. Without that thin piece of fabric, I was just like everyone else waiting in line, blending into the background with my Americano and blueberry muffin. I don’t know what I expected that morning, my trial run at life without the scarf. Would I get struck down by lightning? Would there be applause? Would I be any less Muslim? Or just more me? Despite chafing under its weight for a couple of years now, the headscarf has always been my choice. My mom doesn’t cover, and my older sister unscarfed years ago. The reasons I started covering in high school were a mix of Quran verses and excuses to skip swim practice. But today, in a country where Islamophobia is so rampant, the choice to continue has felt masochistic at times. Hijab was my version of teenage rebellion. The brazen act pushed an acne-prone, knobby-kneed, shy, brown-skinned girl into the spotlight. Covering gave me permission and sometimes little choice but to speak out, to represent myself and my faith. In class, I didn’t hesitate to debate my social studies teacher over a line in our textbook stating that my religion was spread by the sword. Before, I wouldn’t have even raised my hand. He didn’t agree with me, but I got points for speaking up. In volleyball, my teammates and I pushed our coach to break with dress-code rules and allow me to play in a headscarf and leggings. At parties, I laughed louder and smiled wider to show that Muslim girls just wanna have fun, too. The attention brought out my inner narcissist. After college, my first job was at a renowned Manhattan-based feminist magazine. I went after that position not because I wanted to work for women such as Gloria Steinem but because I wanted to challenge their perception of feminism. After 9/11, I fought my parents to keep wearing the headscarf. They feared for my safety. I feared for my burgeoning scarf collection. But while the hijab can help make a woman, it can break her, too. Covering was the perfect facade to hide my insecurities and depression. The busier I was breaking societal stereotypes, the better I was at avoiding cracks in my personal life. The self-imposed pressure to represent Islam and be an example of a “good” and accomplished Muslim was relentless. I worked long hours as a journalist, laughing off comments about being a diversity hire while quietly doubting my value and talent. I found myself emphasizing external practices such as hijab, even when my prayers were distracted and I wasn’t growing spiritually. 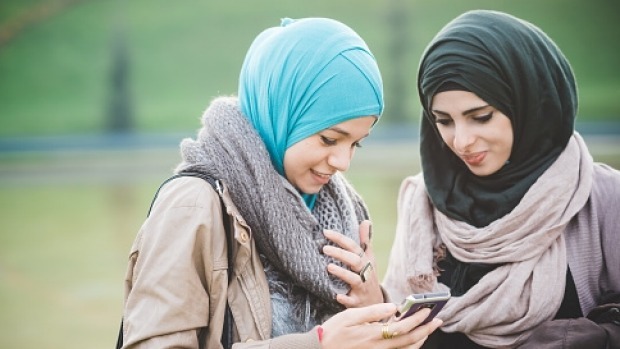 Often, I couldn’t argue back, even if I felt like it, because I had more questions than answers myself, especially about the sometimes unnecessary emphasis Muslims place on the headscarf. The Quran does instruct women to cover our bodies out of modesty, and the sayings of the prophet Muhammad specify that we cover our hair and, some say, our faces, too. However, modesty is a moving target, and men often define its parameters. As I learned about the diverse range of interpretations, it felt more of a disservice to give easy, one-size-fits-all answers. I didn’t struggle as much with not having all the answers as with not having the right ones for me. Honest faith has always been slippery. There are days when my hijabi self can take on the world and days when I just want to let it all go. If I chose to take off the hijab, I wouldn’t be the first in my circle to do so. Aside from my older sister, some of my closest friends have also descarfed. They chose to unwrap for reasons I couldn’t argue with: to protect their children from hate and because they weren’t convinced of its religious mandate anymore. But for me, after that fleeting morning of scarf-less existence, I chose to keep covering. Lightning did strike that day. I realized I missed being the girl in the headscarf. Uncovering wouldn’t be as simple as just having one less accessory to worry about before leaving the house. To expose myself would mean giving up the me that I am today. I would have to unravel the past 25 years, and I’m not ready for that yet. To stand for something less than my faith. But there was comfort in taking that walk that morning, in acknowledging the jagged, imperfect edges of my religious practice and allowing myself room to breathe. So every morning since, I wrap the piece of fabric around my face, an unspoken promise to continue challenging myself, held together by straight pins and a sometimes fragile faith.